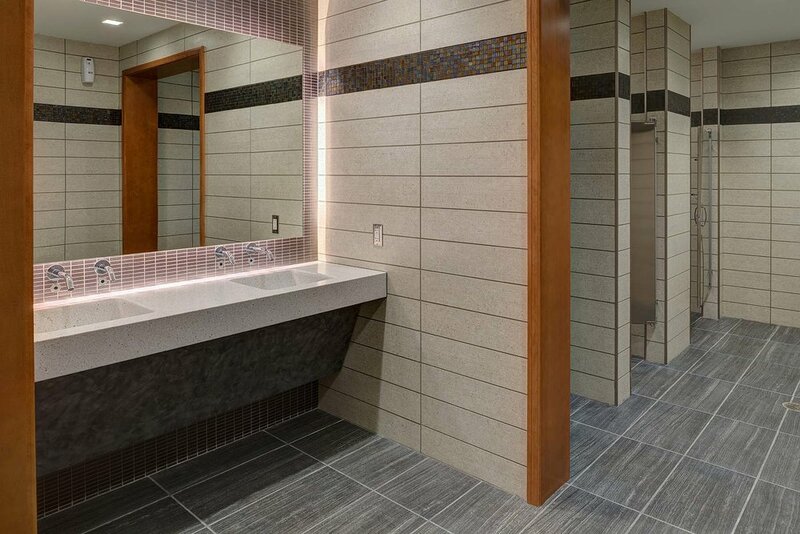 650 Trade Centre Way | AVB Inc. This state of the art 100,000 square foot, 5-story, Class A office building was designed by world famous architects, Minoru Yamasaki. 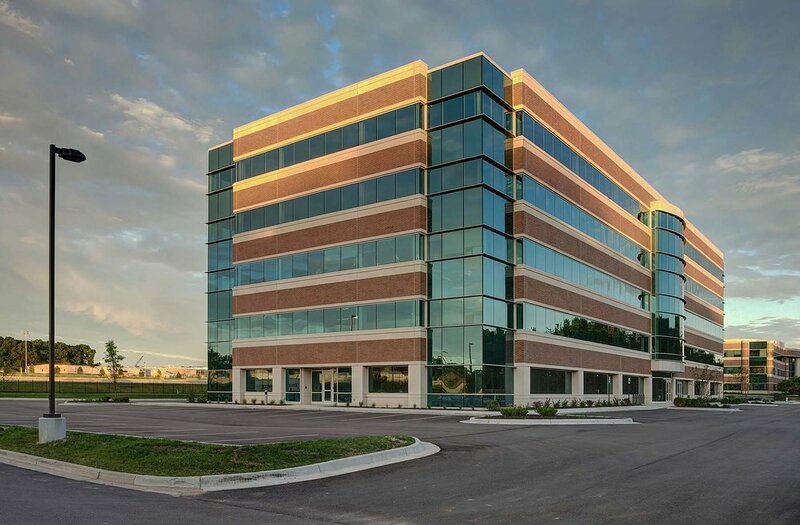 Building mechanical systems and efficiencies have been engineered to set this office space apart from any other commercial property in Southwestern Michigan. Price is based on building core and shell finish level. The Trade Centre is located on the Northwest corner of Westnedge Avenue and Interstate 94 within the City of Portage. The building is carefully situated on the site to take advantage of the beautiful combination of wetlands and woods that surround the site, while maintaining its prominence and visibility from the highway. 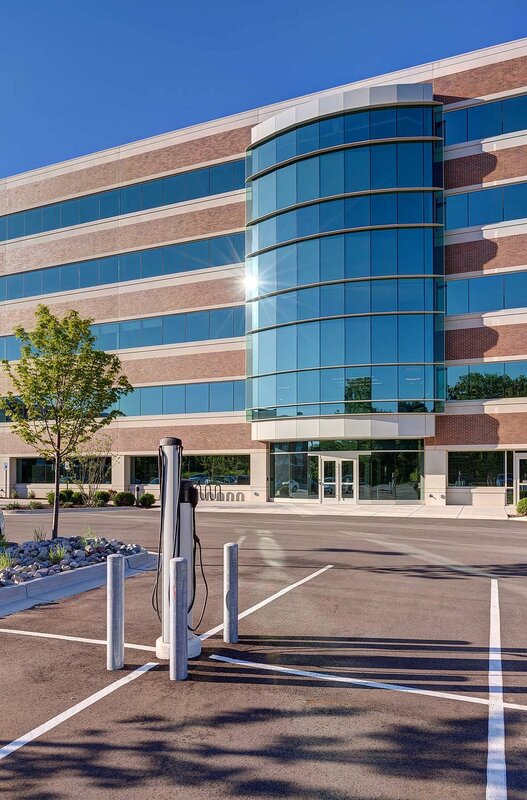 This location was chosen because of its unparalleled market visibility to over 30 million cars per year, which averages to 80,000 cars per day on Interstate 94 and 50,000 cars per day on Westnedge Avenue. The location of the property places it at the epicenter of trade between Detroit, Chicago, Grand Rapids, and South Bend. Its central location with Kalamazoo County facilitates access for employees and clients located in Kalamazoo, Portage, Benton Harbor, Battle Creek and other Southwestern Michigan communities. 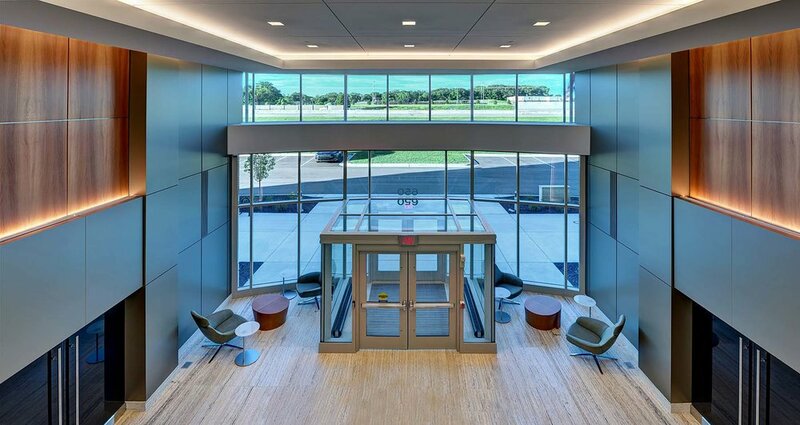 The Trade Centre has convenient access to Interstate 94, US 131 which is 1.5 miles to the West and the Kalamazoo-Battle Creek International Airport which is 1.5 miles to the east. Additionally, over ten quality restaurants are within one mile from the Trade Centre and several are within walking distance. Nearby Businesses Include: Black Rock Bar & Grill, Courtyard by Marriott, Hilton Homewood Suites, Meijer, Lowe’s, Office Depot, Earth Fare, HomeGoods, Old Chicago, Bob Evan’s, AT&T, Walgreens, Bed Bath & Beyond, Gander Mountain, Stryker, and Kalamazoo/Battle Creek (AZO) International Airport.